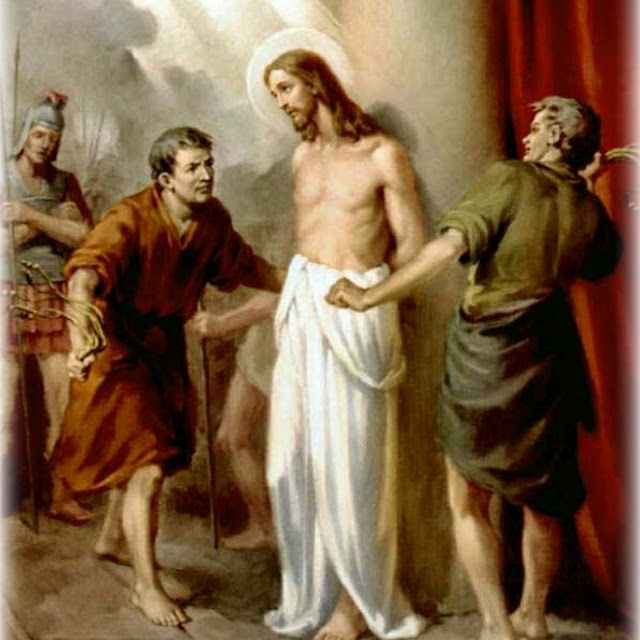 Daily Bible Verse 101: By His wounds, many shall be healed. "Through his suffering, my servant shall justify many, and their guilt he shall bear." "The Lord said to Moses: Make a seraph and mount it on a pole, and everyone who has been bitten will look at it and recover." (Numbers 21: 8 - 9). Our sins would cause severe suffering to the Suffering Servant of God. Our sins will also cause us to be severely bitten by the punishing serpents. But God will not abandon us. When we cry out to God, He will come to our aid. "And when I am lifted up from the earth, I will draw everyone to myself.” (John 12: 32). God sent His Son born of woman to redeem us from sin and the effects of sin. "For we do not have a high priest who is unable to sympathize with our weaknesses, but one who has similarly been tested in every way, yet without sin." (Hebrews 4: 15). Our redemption and salvation is great gift of mercy from God. What is your response? Thank You Jesus. By Your stripes I am healed. (Isaiah 53: 5).